You decided: it’s time to reinvent your bathroom. First, take the opportunity to close your eyes and bask in your vision of the finished product. Is it becoming clear? Can you already see yourself unwinding there after a stressful day? Good, because I need you to come back to reality. The road to that perfect bathroom is not so straightforward, especially if you embark on it with little to no planning. There are numerous, yet equally important, factors to consider as you plan your bathroom remodel but, with the proper due diligence, your new bathroom will feel every bit as sweet as what you just envisioned. Hash Out Your Bathroom Issues. If you’re looking to improve your home’s luxury, bathroom remodeling is a great place to start, but for the sake of your wallet and schedule, it’s important to determine what “luxury” means to you. If your plumbing is still performing well but your tub’s acrylic is cracking, fitting it with a tub liner will address your issue without having to commit to a full-scale remodel. Conversely, a pristine tub means nothing if the water filling it is yellowed from rusting, depreciated pipes. In that instance, wholesale bathroom remodeling may be in order. Consider the Needs of Others. The best advice can be applied to virtually every aspect of life. If you’re not the only one using your bathroom, it’s important to gauge your co-habitants’ visions of the perfect bathroom. 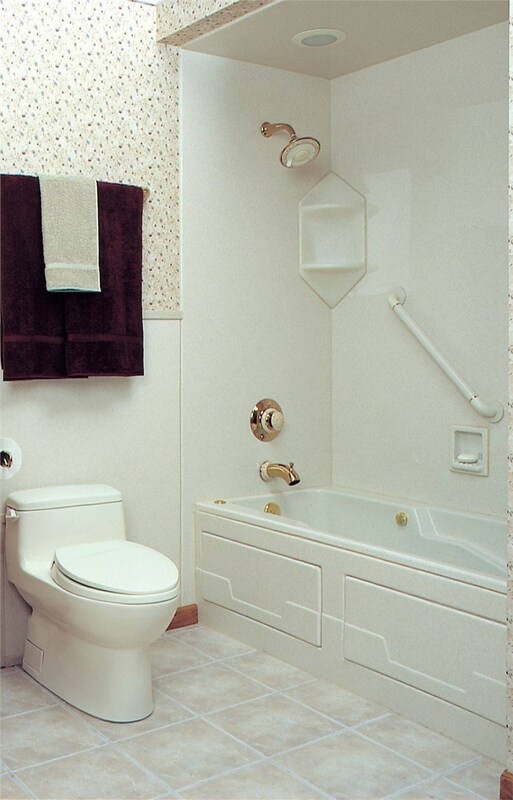 Admittedly, the question, “How do you use the bathroom?” can be an awkward ask, but if you have elderly or handicapped family members living with you, discuss what kinds of safety or accessibility features they might require, such as a walk-in tub, slip-resistant flooring, or safety grab bars. Determine Your Exact Budget. You may not know how much your bathroom remodeler will charge, but you should know how much you’re willing to spend and, even further, how much wiggle room you have to cover the cost of the unexpected – a harsh reality when you remodel your bathroom. Take your time zeroing in on that rock-solid figure, subtract labor costs once you have a good idea what they’ll be from your initial consultation, and use the remainder to prioritize which aspects of your bathroom need the most attention. Scheduling and Sequencing. When you’re creating your project schedule, account for more than just installation time; you’ll also have to concede time for less-obvious tasks like purchasing, shipping, and custom fixture construction, if applicable. Also, tackle your remodeling tasks in a logical order. If you plan on ripping out your walls and plumbing, wait to install your replacement tub until the end to avoid any undue damage from tools or debris. Take Exact Measurements. This part certainly doesn’t make bathroom remodeling fun, but not doing it will make your project even less rewarding, at least as it unfolds. Measure the dimensions of your bathroom and fixtures and have them at the ready during your consultation. It’s also important to know where your plumbing and electrical wiring are oriented, especially if you’re opting for the D.I.Y. approach. For many, the bathroom is a personal sanctuary to decompress from daily stresses, so it makes sense if you believe you’re the best one to remodel it. However, it’s important to remember that, whether you’re looking for a one-day bathtub replacement or a full-scale remodel, there are many details to consider and plan for. Executing a flawless D.I.Y. remodel is a personal triumph, for sure, but it’s rare to completely avoid any and all setbacks. Hiring professional and experienced contractors can greatly reduce the likelihood of setbacks, thus preserving your schedule and budget. To learn more about our bathroom remodelers at Luxury Bath or to simply check out our products and services to see if they’re right for you, give us a call today to connect with one of our knowledgeable remodeling specialists. We also invite you to submit our convenient online form to schedule your free, in-home consultation.